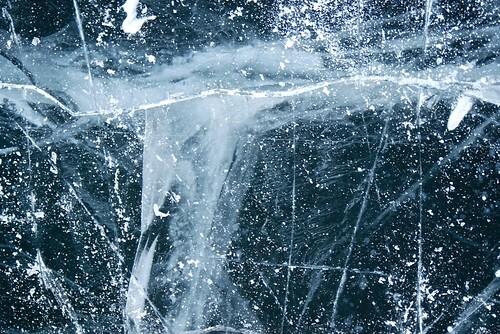 Black ice, glare ice, whatever you want to call it...we've got it on the lake right now. It's magical. 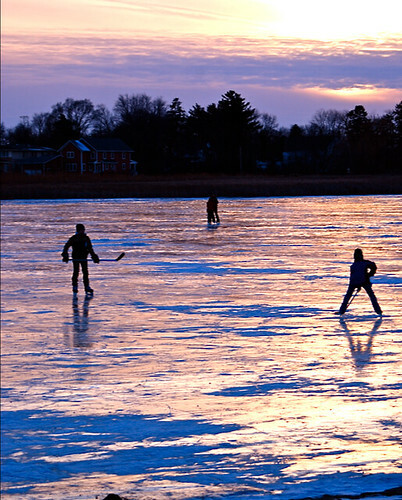 The ice is glassy, slick, perfection for skating. Just under the surface are bubbles, clouds, fissures formed from cooling, heating, cooling again and again. 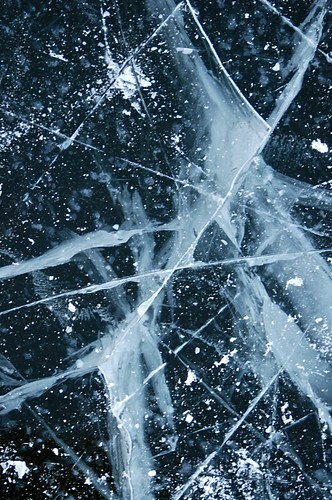 Crossing paths with the cracks are scars from skates. A dusting of snow in places, or shaved ice from sudden stops and turns of skaters. Meanwhile, the ice, the lake makes an eerie sound. Like drums almost, a dull thumping, the source completely unidentifiable, the sound ethereal and unearthly. If you are silent and listen you can understand the source of countless myths - pre-distraction and modern "conveniences". We went to the lake, no skates, just around dusk. 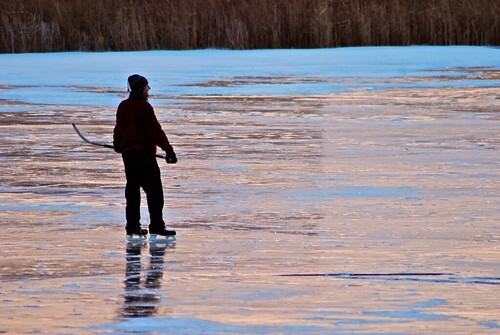 My daughter had never been on ice before, my husband never skated on a lake. Both said the same thing as they made their first steps onto the lake, "WOW!" 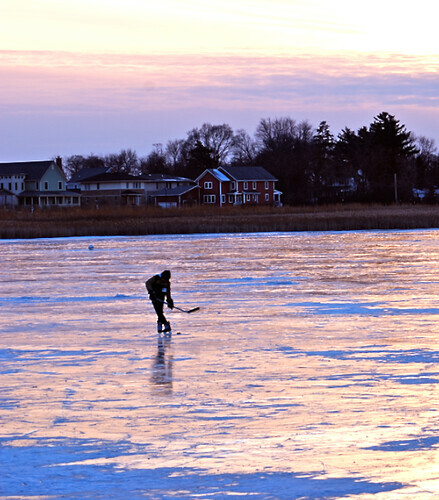 Neighbors played hockey, taught their kids to skate, took their dogs for walks along the ice, enjoyed the perfection of the ice and shared in the amazement of nature. As it got cold and we decided to end our adventure Eh wanted nothing more than to stay there, forever if possible, to walk across the entire lake, run if she could. And so, my dream, my quiet hope that I could teach my dear girl to skate, to share with her my countless afternoons as a child, seem nearer than ever. Next year: skates. This year: a gorgeous memory. Those ice detail shots are amazing. these pictures are amazing! You got the gift! Gorgeous! 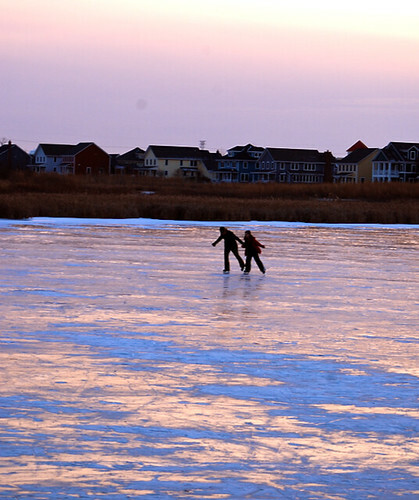 When we lived in Alaska we had a neighborhood lake and we so loved skating there and running home to drink hot chocolate! Sometimes skating and ice fishing, all at the same time. Ahhh. 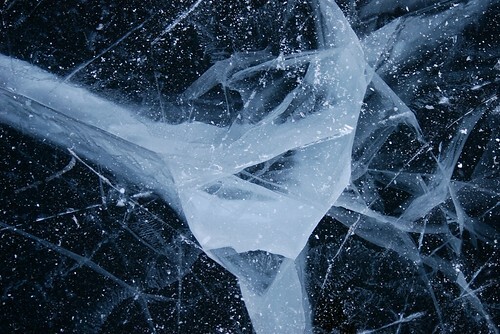 Magical and mysterious visions of the ice. Dreamlike visions of it's use. A visual story without words. Extremely well done. What an endearing post! And Tricia, those close-up shots are mesmerizing. Just lovely! I've never seen that in person. It looks breathtaking. Thanks for sharing T! did you take all of those beauuutiful pics?? Thanks everyone! It snowed today so black ice no more! Krystal - yep (was just being lazy and didn't watermark). Anna - we should have a skating party!